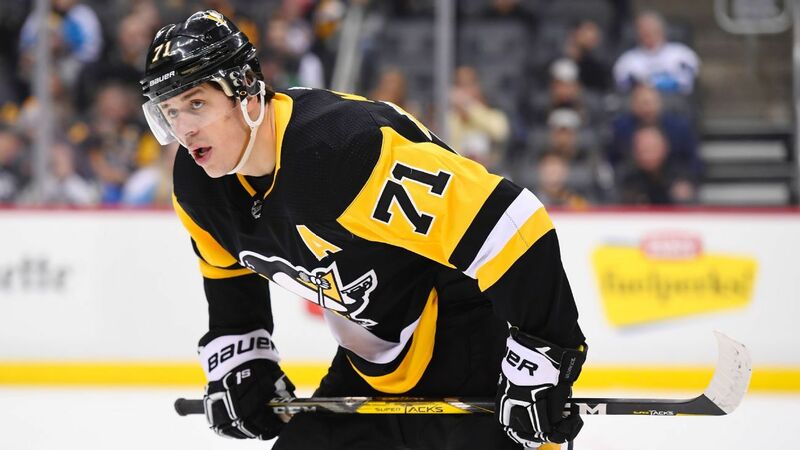 Pittsburgh Penguins star Evgeni Malkin was suspended one game by the NHL Department of Player Safety on Tuesday for an "intentional stick swing, with force, for the purposes of retaliation "Michael Raffl. 5:06 of the third period of the Penguins' 4-1 win over the Flyers in Philadelphia on Monday night . After a battle for the puck near the benches, Raffl landed a punch to the back of Malkin's head. Malkin responded by swinging his stick to Raffl's head. The flyers forward instinctively ducked out of the way. "I don't know why I'm playing with five minutes left," Malkin said after the game. "I know it's scary, but I didn't touch his helmet or his shoulder. I gave them a five-minute power play. It's my fault, for sure." The NHL said his stick made contact with Raffl. "It's important to note that while we understand Malkin's contention that his stick only makes contact with Raffl, this does not excuse his actions. The NHL stick fouls do not require that contact made for discipline to be assessed," the NHL said in its ruling. This is the 14th non-mandatory NHL Department of Player Safety suspension of the 2018-19 season, the last coming on Jan. 17 when the Nashville Predators 'Ryan Johansen received two games for high-sticking the Winnipeg Jets' Mark Scheifele. Under the terms of the collective bargaining agreement and based on his average annual salary, Malkin will forfeit $ 51,075.27. The money goes to the Players' Emergency Assistance Fund.